During the Ph.D, he is focusing his research on the definition of the dimensional parameters, the microstructural and textural characterization of deformation bands affecting different high-porosity carbonates, which crop out in Italy. The research he is carrying out integrates field (i.e. geological survey, structural analysais and stratigraphy) and laboratory work (i.e. microstructural analysis optical and electronic microscopes, porosity and permeability measurements, rock deformation experiments) aiming at characterizing both natural and laboratory-formed deformation bands (i.e. compactive shear bands, compaction bands, shear bands). The rock deformation experiments, carried out in collaboration with three European laboratories: i) Institut de Physique du Globe (Strasbourg, France), ii) HPT-Lab of Utrecht University (Utrecht, The Netherland) and iii) Rock def. Lab. of Liverpool University (Liverpool, United Kingdom) are aimed at better constrain the boundary conditions and the micro-mechanisms responsible of the formation of the natural structures. 2001-2004-BSc. Analysis and Management of Natural and Anthropical Risks, University of Messina, Italy. March 2015-Current – Shell Global Solutions international BV. 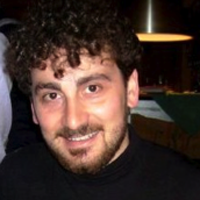 June 2008-December 2008 – Assistant Geologist Bonatti S.p.A., General contractor. April 2009-April 2011 – co-tutor of BSc. and MSc. thesis, University of Camerino. 2009-2012 – Practical classes during the courses of Geology and Structural geology.